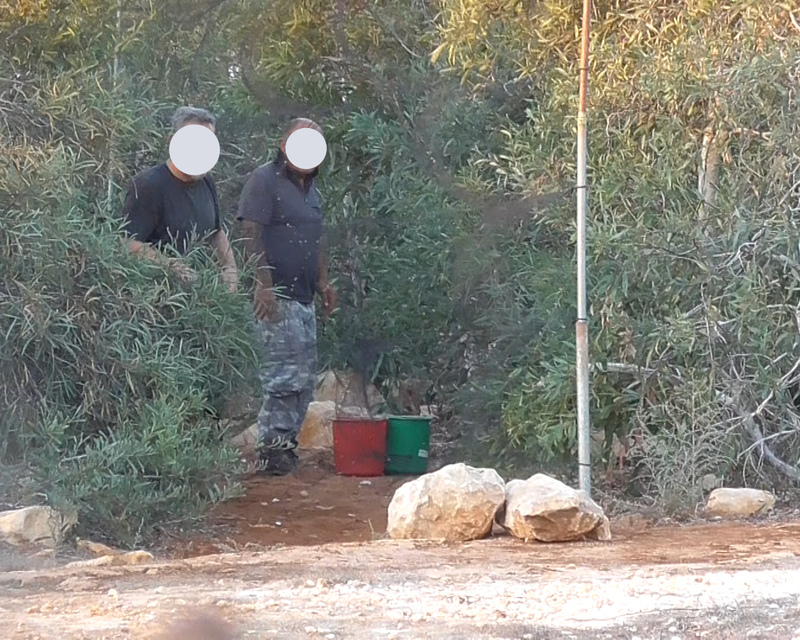 Back in June I blogged about the work RSPB Investigations undertook in Cyprus last year with the Sovereign Base Area (SBA) police. This involved installing covert cameras to catch bird trappers on the British Military base. Myself and a colleague installed covert cameras at seven locations within the Eastern Sovereign Base Area (ESBA) at Dhekelia which caught 19 individuals. There was grisly footage of trappers removing struggling birds from mist nets, then killing them with knives before tossing the bodies into bags. These nets were set in areas planted with non-native acacia and used electronic calling devices playing birdsong to lure the migrant birds into the nets. In addition to the three successful cases mentioned in June, we have recently learned of a further three cases resulting in the conviction of another six individuals. In total, six of the seven cases have now resulted in the conviction of all 14 bird trappers who were caught on camera - really excellent work by the police and prosecutors. The table below shows the case outcomes in more detail. Just one case involving a further five individuals has yet to be dealt with. What has been most encouraging is how seriously the court is taking this graphic video evidence - six of the trappers have received jail sentences of between three and six months, suspended for three years. These individuals are now on clear notice. If they are caught again within the next three years, they will be sent to jail plus whatever sentence is given for the new offences. Hopefully, this will focus their minds very carefully before they think about coming on to the Sovereign Base Area to set their nets. It is clear the SBA Police are currently stepping up their enforcement efforts - and sent a very strong message to the trapping community in August. Hopefully this will be reflected in a reduction in trapping levels on the base this autumn. However, one major problem that does remain is the large areas on the base still planted with non-native acacia groves. These killing fields are where the trappers set their deadly nets. Some clearance of this has been undertaken by the SBA authorities, but this appears to have stalled due to local protests. Much more needs to be done. Please read Martin Harper's blog from earlier today outlining how you can help.